A while back I was called by a journalist at a prominent paper and asked what I thought about the lithium market. Was it another rare earth metals story – limited supply and rapidly escalating demand? Or, worse, was the world simply going to run out of lithium in the face of surging battery demand and, either way, where did I see prices going? My position was the world is not short of lithium. It is abundant as an element — it is, or was at the time, just short of scaled-up extraction projects. So, no, I did not see the world running out of lithium but that a healthy run-up in prices would encourage more investment and, hence, increased supply – maybe a less dramatic version of the financing that became available for Mountain Pass after the run-up in REM prices. Interestingly, the journalist did not print any of my comments — fair enough, as they did not support his position that the world is running out of lithium. Since then, the prices have indeed doubled. The Financial Times reports the price for lithium carbonate from South America has hit $14,500 a ton over the past two years, quoting Benchmark Minerals Intelligence. 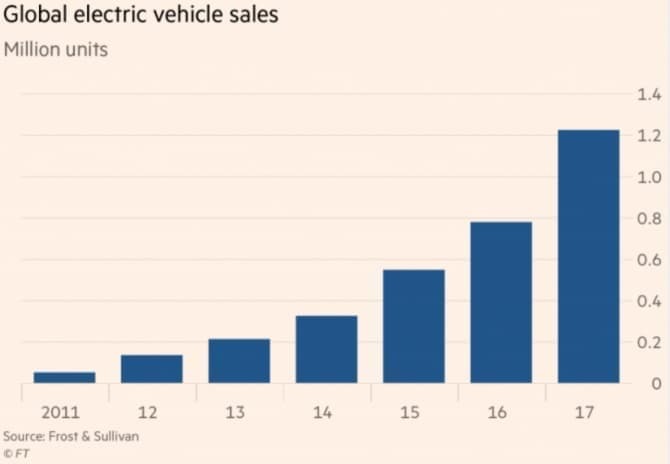 Much of the excitement is due to the rise in electric vehicles (EVs) and hybrids, and although there is no futures market in Lithium – prices are set in long term contracts – buyers have to contend with a bullish supply market as battery makers scramble to cover forward under long term agreements, as the rise in prices affirms. Indeed, not only product prices but the share prices of producers is set in large part by predictions on the uptake of electric and hybrid cars. 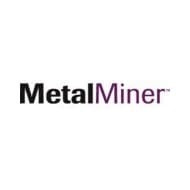 Back to the main thrust of the Financial Times article, Sociedad Química y Minera de Chile (SQM) is up for sale following regulators enforcement of a sale by parent PotashCorp as a prerequisite of aquiring its Canadian rival Agrium. SQM accounts for more than 20 percent of the world’s lithium supply, making it one of five companies that dominate the global market alongside China’s Ganfeng, Tianqi Lithium, FMC and Albemarle, while its lithium division accounts for 60 percent of SQM’s profits – arguably some high price regulators are demanding PotashCorp pay to acquire Agrium. But that depends very much on what price the market puts on SQM, which in turn depends on how bullish bidders feel about the prospects for electric and hybrid transport. PotashCorp could conceivably be getting out at the peak. According to the Financial Times, quoting consultancy Wood Mackenzie, if electric vehicles reach 5 percent of car and light truck sales globally by 2025 from their current level of 2 percent, then lithium prices will fall to $6,900 a metric ton by 2025. However, if that share, including plug-in hybrids, climbs to 12 percent by 2025, lithium prices will remain at current levels and then move toward a long-term price of $13,600 a ton, the consultancy forecasts. This suggests lithium prices and the share prices of major lithium producers are highly dependent on a very uncertain metric. Uptake of electric cars has consistently underperformed expectations, so exceeding SQM’s current valuation of about $4.7 billion requires a big and bold bet on EVs and hybrids. 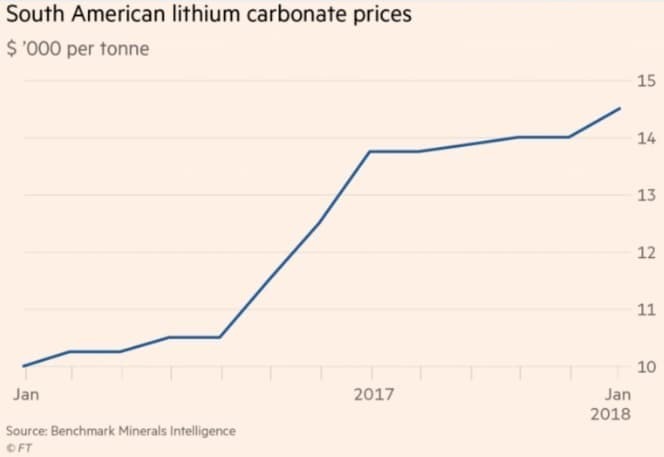 The Financial Times quotes Ben Isaacson, an analyst at Scotiabank in Toronto, who said SQM’s share price reflects lithium prices well above the marginal costs of production, “which isn’t realistic.” The lithium price will fall to a long-term average of between $8,000 and $10,000 a ton, he forecasts. “This should be bought at a discount (to the current lithium price) — this should not be bought at a premium,” he said. With new projects coming onstream in Australia, the U.S. and elsewhere, supply will increase, but so too, of course, will demand. But at current prices, the money is chasing new resource development and EV uptake appears to be lagging. "Uptake of electric cars has consistently underperformed expectations..."
This is just wrong. Worldwide plugin passenger EVs have been growing at 55% CAGR for the past 5 years. Who exactly has been "expecting" higher performance than that? Certainly not the oil or auto industries. Moreover, continuing at this "lagging" pace of 55%/y for another 5 years would lead to about 10.9M new EVs sold in 2022. I seriously doubt that EV growth has underperformed the author's low expectations. Rather they simply shading EVs with their unsubstantiated personal bias.